Product #60522 | SKU GR-V01-SP | 0.0 (no ratings yet) Thanks for your rating! Allows smartphones (with widths up to 7.6cm) to be mounted to the G1/G2/G2X quick release baseplate. 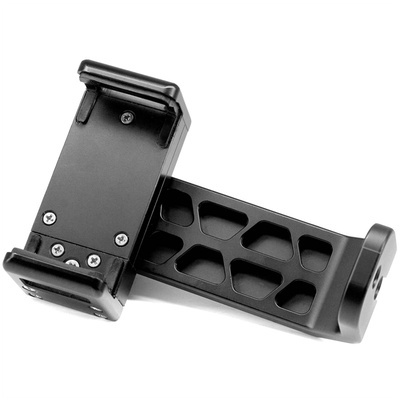 This Tilta G2 Smartphone Adapter allows smartphones (with widths up to 7.6cm) to be mounted to the G1/G2/G2X quick release baseplate. Additionally, this smartphone adapter can be used to mount a smartphone to any other ¼”-20 screw hole to fit your needs. The innovative design allows for the smartphone to be mounted vertically or horizontally in seconds.